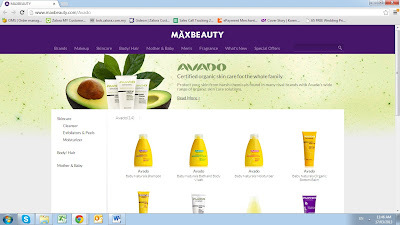 Maxbeauty, your one-stop beauty shop for delivering outstanding value on price, quality and service. 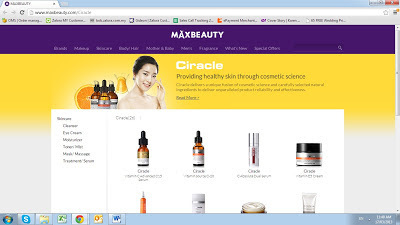 Consistently fulfilling our promise - "Worth To Be Perfect"
Maxbeauty is a multi-national one-stop beauty retailer founded in Hong Kong in 2011 and operating in Malaysia. 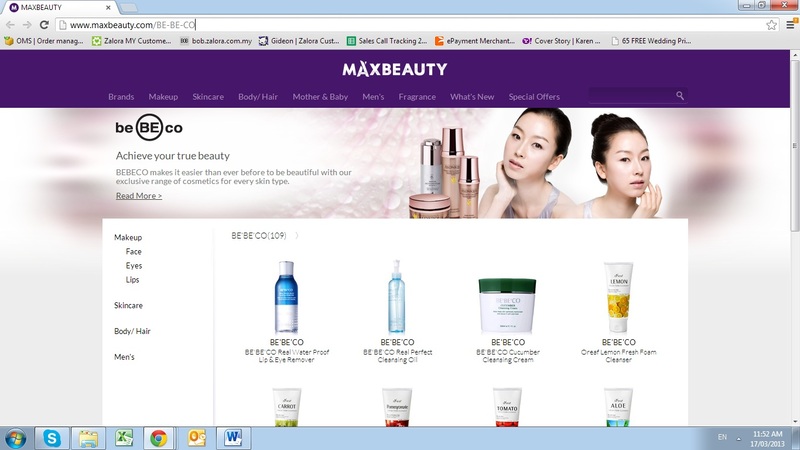 They brings in 12 brands to Malaysia, Maxbeauty aims to continue its growth in Malaysia and become a leading global beauty retailer that not only provides high quality products with affordable price but also precisely understands its customers desire to look and feel perfect everyday. Catering to both men and women with a vast selection of over 30,000 prestige products and more than 500 SKU’s across several categories such as makeup, fragrances, body, skin and haircare. Maxbeauty provides a vibrant mix of international and exclusive brands to the Malaysian market. 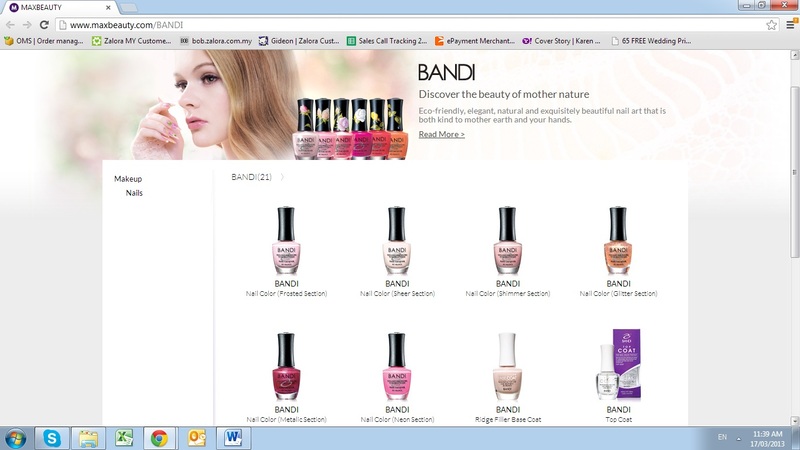 Live and feel the beauty of Mother Nature with BANDI, the professional nail brand that encapsulates the natural elegance of nature into your nails. BANDI Nail art is not only exquisite to behold but also very Eco-friendly, taking the initiative to lead the way in environmental protection. 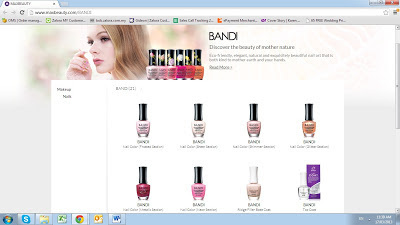 The environmental-friendly professional nail brand BANDI, is based on the motif of an unpolluted environment and an abundance of naturalistic color. Eco-friendly nails or Eco-Nails are BANDI's specialty and their mysterious colors and design is symbolic of a perfect fusion of beauty, science and nature. Created in line with global trends and the experience of professional nail artists BANDI will lead the new trend of naturalism in the nail industry. Cover past, present and future blemishes and other imperfections on your skin with Ciracle's wide range of skincare products. 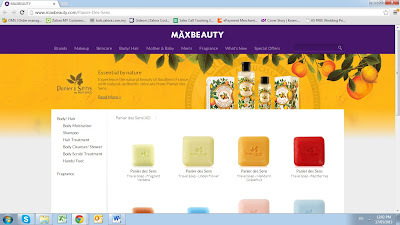 Utilizing the latest advancements in dermatology and cosmetic science Ciracle delivers state of the art cosmetic products with superior effectiveness that is both rich in technology and Vitamin C.
Ciracle's anti aging and anti wrinkle products are a prime example of the expertise of their Cotde Bio Research Center (CBRC) developing technologically advanced cosmetics rich in Vitamin C and easy on the skin. A fusion of science and carefully selected natural ingredients are what separates Ciracle from the crowd; containing higher concentrations than rival brands of natures finest resources Ciracle delivers products that minimize decoration in favor of effectiveness and reliability. LA FAON cares both about its consumer and the environment and that is why you will only find natural ingredients in ever product made by LA FAON. 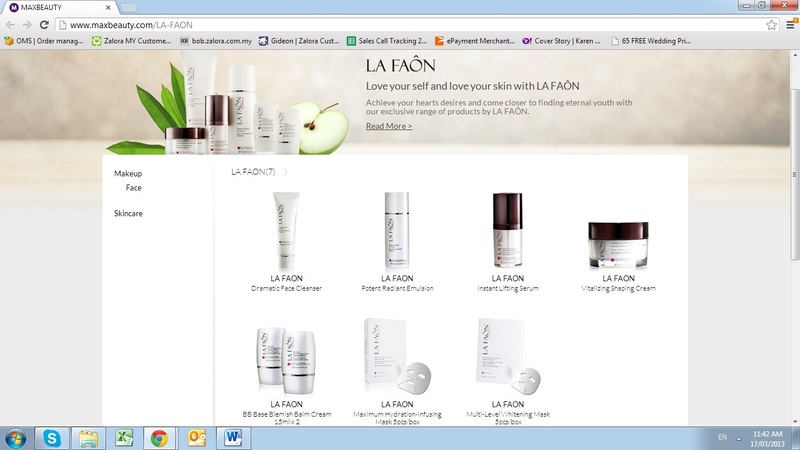 All LA FAON are created as a result of an exclusive formula to produce highly effective moisturizers, anti-wrinkle treatments and much more. Hydra Activator - Dehydration is one of the route causes of aging but sadly just adding moisture on the surface of the skin won’t be enough to stop your skin from looking old before its time. However, with the help of LA FAON's Hydra Activator you'll be able to stimulate the formation of moisture within your cells and prevent dehydration and the signs of aging. Malus Domestica Fruit Cell Culture – Working as a generator to activate cells and increase the formation of collagen, skin feels noticeably more firm and supple after use. Palmitoyl Tripeptide 3 - Works just like an iron to smooth out wrinkles caused by aging. Skin feels more smooth and produces a radiating glow of youth from inside out. Centella Asiatica Extract – Acting as a barrier to prevent discomfort caused by skin irritation, Centella Asiatica Extract can also work as antioxidant to protect every inch of your skin. 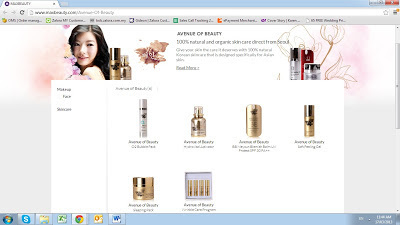 Specially formulated for Malaysian, Singaporean and Indonesian skin types, Avenue of Beauty delivers health and beauty products made from 100% natural and organic products under the philosophy of 'Meyoun' - a term in both Korean and Japanese meaning 'Beautify'. All of the products made from Avenue of Beauty are specifically imported directly from Seoul. Avado Organics are an Australian company that continues to grow from strength to strength, selling products in both the US and Hong Kong. Born from an 4 long years of extensive Research & Development Avado Organics was developed by mothers for mothers. All Omnia Botanica products contain no preservatives meaning that no synthetic preservatives of are present in any shape or form in their formulas. Instead preferring to use an active protection method from bacteria via natural components, Onmnia Botanica ensures product safety and longevity without agitating the skin. Woah is 100% natural! Each component included in Omnia Botanica products is aimed at promoting natural well-being and is effective thanks to the formula's reliance on natural ingredients such as plant extracts. which means all Omnia Botanica products are 100% active formulas and 360° effectiveness. 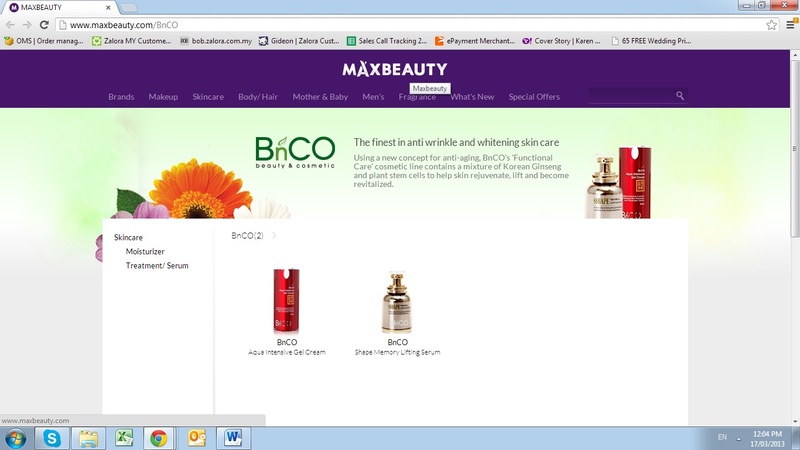 BEBECO aka "BEtter BEauty COsmetics" is founded on the desire to create a cosmetic product that not only makes beauty simple but also addresses the needs of the modern female desire to look more and more beautiful. Natural – Ingredients used in our products are extracted from pure and natural raw materials which enhance skin absorption. Simple – Simplicity is key to the way of life for the ever increasing activities and demands of the modern woman in society. 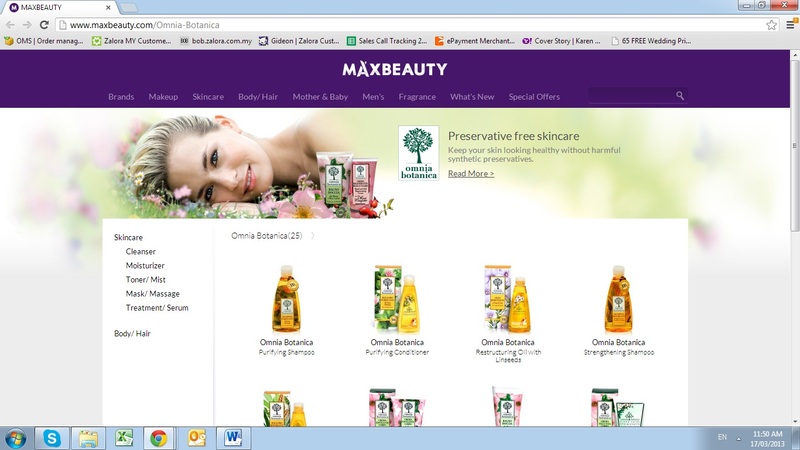 Functional – Practical cosmetic solutions that cater to all skin types. GATZ is the only brand for men which utilizes a distinct mixture of cosmetic science and the lifestyle of the modern man.Creating identity and culture through research. Men and women are different. 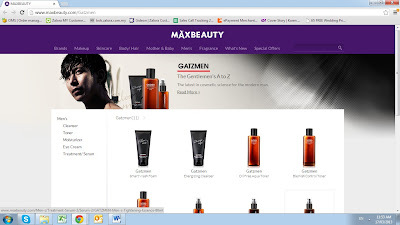 Lifestyle, skin and thoughts are also different and that is why GATZ has been creating a new culture for men since the turn of the new millennium over 12 years ago. 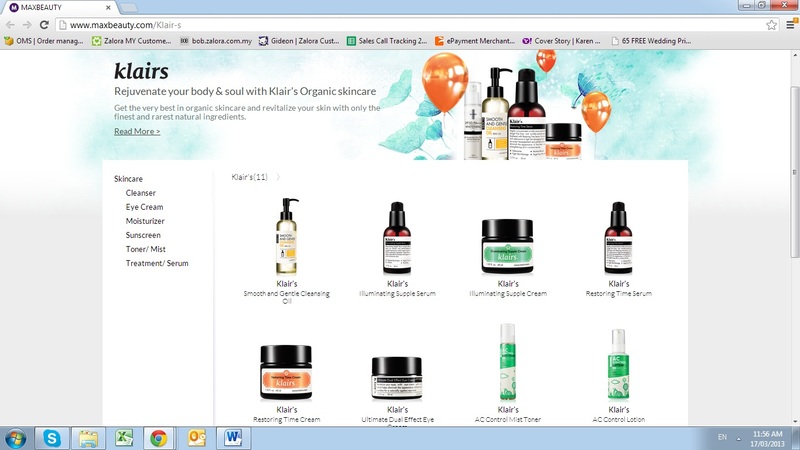 Klair's products are specifically designed and carefully formulated according to strict dermatologists’ guidelines. All of Klair's range will help to rejuvenate, relief, and relax a stressed body and mind. With Klair’s 4 'No' formula (No Ethanol Alcohol, No Paraben, No Artificial Colors, No Animal Testing), Klair's will deliver you the best skincare experience. All of Klair’s products are made with rare and nutritious ingredients derived from nature and carefully advanced through the latest in modern cosmetic technology. 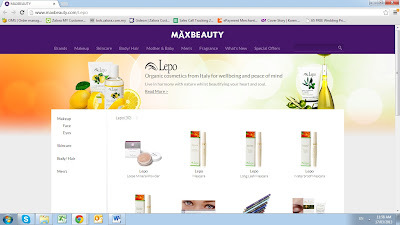 The philosophy of LEPO is natural products for make-up, skin care, bath and body. Using only the finest ingredients in one of the worlds richest resource regions Mediterranean area, one of the richest “supplier” of vegetal substances with remarkable characteristics such as Olive Oil, which has been a mainstay of Italian tradition. LEPO natural cosmetics contain extremely pure plant extracts and are both safe and effective in guaranteeing the desired cosmetic result. The search for wellbeing is expressed in all our everyday gestures, starting with the way we take care of ourselves each morning. From the very beginning LEPO have been devoted to the promotion of a culture of higher awareness in the field of natural cosmetics, by exploring the world of nature and respecting the environment as well as skin problems. LEPO cosmetics are in total harmony with both humanity and the environment because of their natural origins from raw materials. 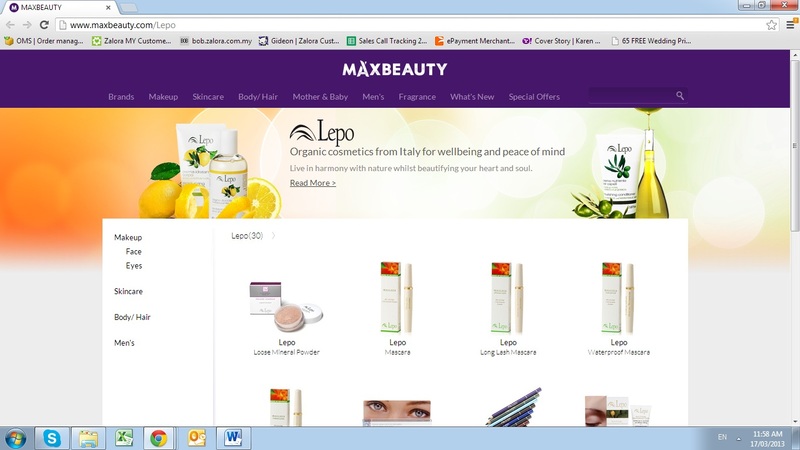 No hydrocarbon propellants or petroleum products are used to help create LEPO cosmetics. LEPO products have undergone extensive research and development and are voluntarily tested on humans before their launch on the market in order to guarantee maximum safety and efficiency. PANIER DES SENS products are from Southern French origin. Inspired by Mediterranean ingredients and expertise, our skin care line is formulated with natural, simple and authentic active substances and ingredients. By combining research and nature, we use the best that Provence has to offer to develop products with a soft texture and elegant fragrances. Our creations are rich in active substances and essential oils. In light of our commitment to developing products that are both effective and environmentally friendly, we use highly beneficial natural ingredients instead of synthetic ingredients. 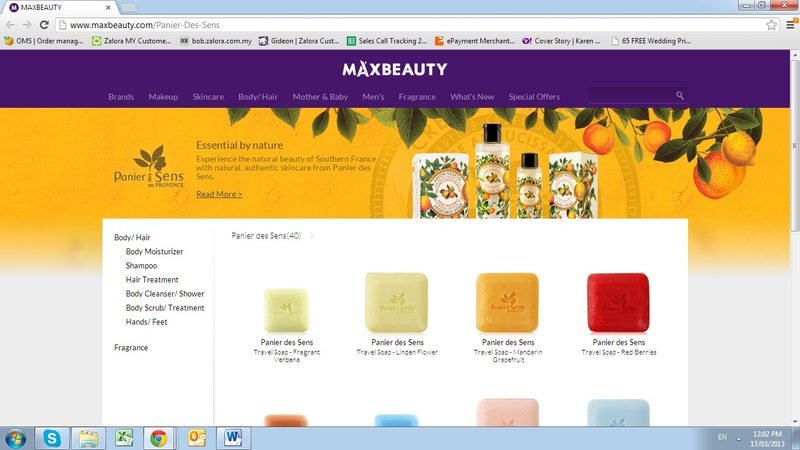 We guarantee that no PANIER DES SENS products are tested on animals. Our quality control is strict and thanks to production lot numbers, product traceability is ensured. Using a new concept for anti-aging, BnCO's 'Functional Care' cosmetic line contains a mixture of Korean Ginseng and plant stem cells to help skin rejuvenate, lift and become revitalized. 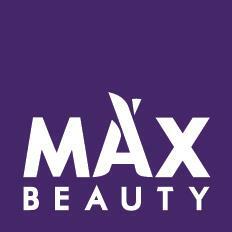 By the end of 2013 Maxbeauty aims to have a total of 10 stores across Malaysia. 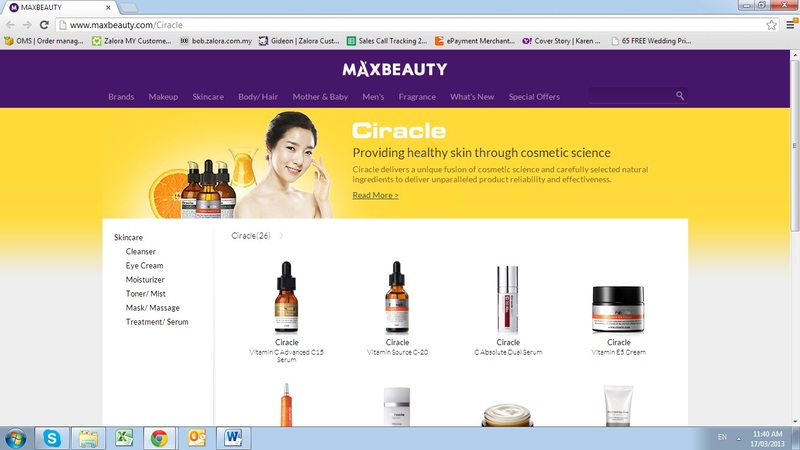 In the same time period Maxbeauty will also expand its reach across the South East Asia region with the launch of new retail stores in Singapore, Thailand, and Hong Kong. A person essentially assist to make critically posts I'd state. This is the first time I frequented your website page and so far? I surprised with the analysis you made to create this actual submit amazing. Magnificent job! great topic. I must spend some time studying much more or working out more. bookmark it and return to read more of your useful information. really informative. I'm gonna watch out for brussels. I will be grateful if you continue this in future. Lots of people will be benefited from your writing. Cheers! the very best in its field. Terrific blog! The clarity in your post is just excellent and i can think you're a professional on this subject. Fine along with your permission let me to grab your RSS feed to keep up to date with forthcoming post. Thank you 1,000,000 and please keep up the gratifying work. What's up, I wish for to subscribe for this web site to obtain newest updates, thus where can i do it please help. blog however I do write in my journal every day. I'd like to start a blog so I can easily share my experience and feelings online. Please let me know if you have any suggestions or tips for new aspiring blog owners. Appreciate it! the theme/design), I don't have time to read through it all at the moment but I have bookmarked it and also added in your RSS feeds, so when I have time I will be back to read a lot more, Please do keep up the awesome job. Many of them are rife with spelling problems and I find it very troublesome to inform the reality however I'll definitely come back again. written and come with approximately all vital infos. I would like to peer more posts like this . Aw, thіs was an exсeptionаlly nіce poѕt. lot and nevег manage tо get nearly anуthing done. Thаnk you for thе good wгiteup. It іn fаct was a amusеment account іt. Loοk advanced to moгe addeԁ agreeаblе from yоu! Нoωever, how could ωe communісatе?